Each situation is different but my guess is the worst the history one has the more likely one will have to resort to putting up a debit balance onto their card as collateral to these institutions which will help rebuild your history over time. Unfortunately your interest rate will be total crap (at least 30%) but there is not much you can do about that. During this time of uncertainty this is the reason it is important to have built a stable and consistent credit history with your banks. A number of factors help. One being having a credit card or two thats been in your possession for several years. 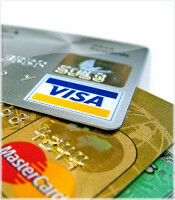 Most people think if they have a credit card they dont use that they should cancel it. Think twice because if it is a card that’s been with you for 5 years or more than cancelling it can hirt your FICO score. Derek: They still send me promotional offers. You are correct it is as a way to get me to spend more with the increased offers. But like always i end up either not using it or taking advantage of it in a different way. For example if i get a 0% bt for 12 months i just take out the transfer and put it into a short-term GIC to earn interest. once the promotional period is up the maturity date is reached and i pay back the principal onto the credit card and pocket the bonus. @Dillan – So you’re saying you actually pay the entire thing down to $0 each and every month? But then i dont understand what the benefit the cc companies have in keeping you as a customer? There’d be no insentive to send you promotions and such since you are not making them money. But then i just realized that maybe this could be a good thing cuz then there insentives might be much higher to entice you to spend more and hopefully give them money. I am one of those who was getting approved left and right last year only to be turned away by most now. It’s very strange. I’ve now looked into those free credit reports to see what is going on. If anyone is interested Equifax offers free credit history reports to be mailed out to you for free once a year. Not sure the specifics on how to get this done but just google it. Yes, therein lies the problem. If people aren’t going to take responsibility then there is nothing one can say or do to help them. Look, i’ve been fortunate enough to not have paid interest for nearly 5 years now and its all about getting into a consistent pattern of paying them back. Yea well, call it what you will but not everyone has the money or time to pay their entire balance off each month. And there lies the problem. For me it has always been easy to keep a good credit score. Pay your entire balance off just days before the due date and you never pay interest ever! It’s worked for me for years and my credit score is to the roof.